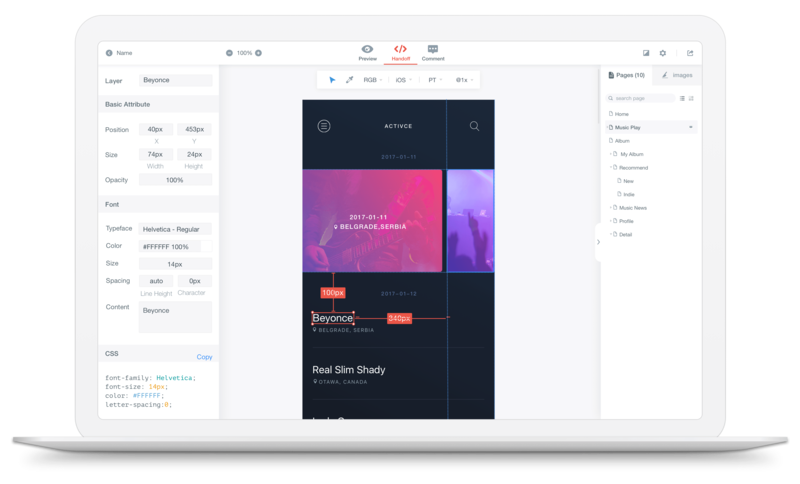 Free designers’ hands, meet developers’ needs. 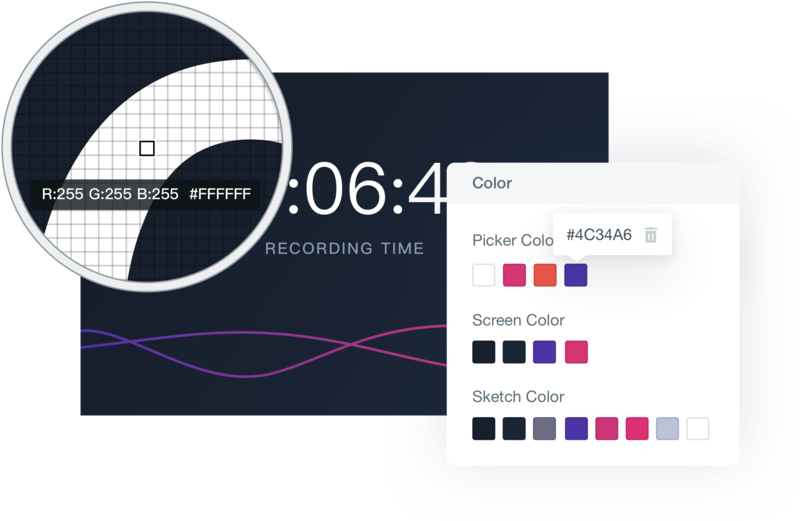 Use Color Picker to identify and record color. We provide the best color solution in the industry. Slices for all resolutions of all devices. You can download slices in just one click. Automatically prepare CSS/Swift/Android code of every element, greatly improving working efficiency. Adapt to all platforms of multiple resolutions, accurately conversing all px/dp/pt/em/rem measures of IOS, Android, and PC. 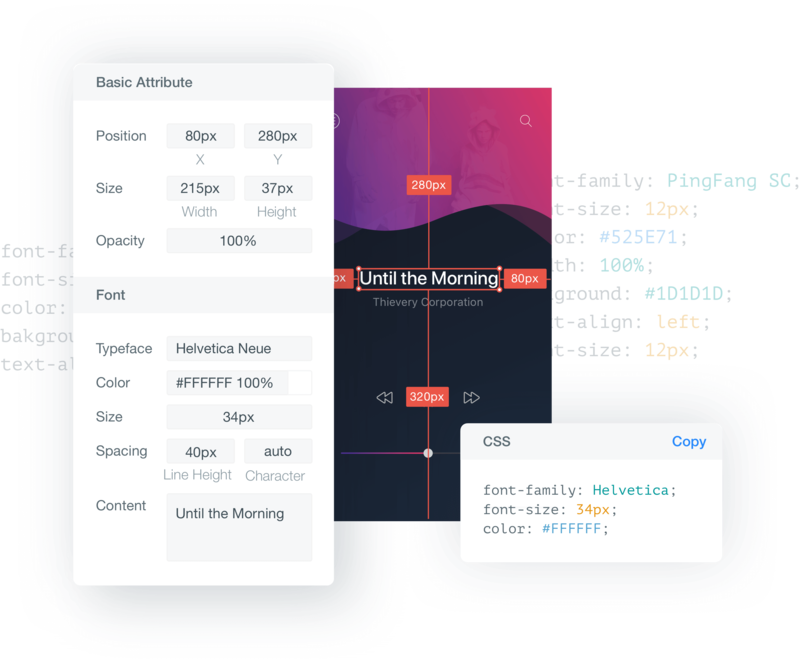 Developers can read specs online through a URL shared by designers. 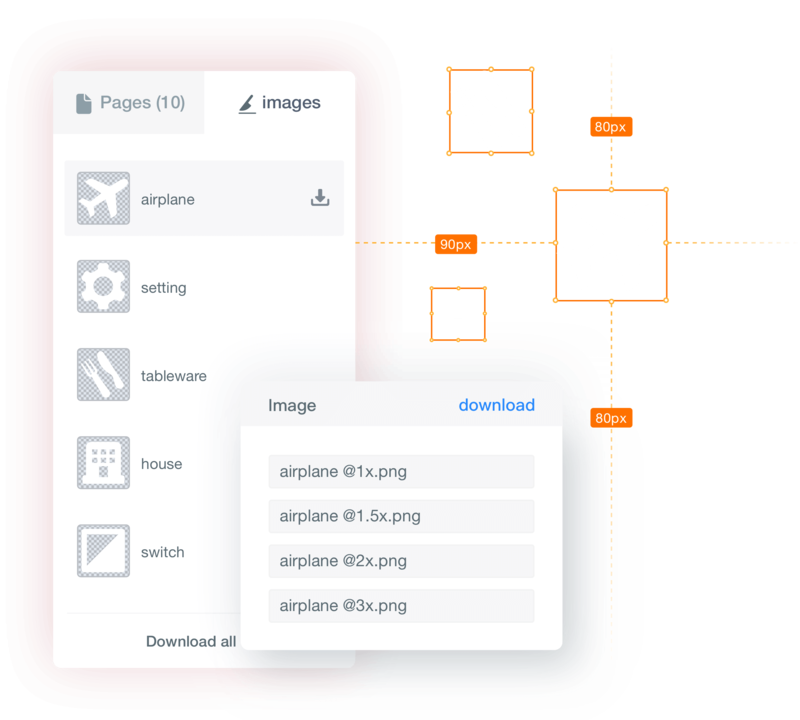 Import your Sketch files by our Sketch Plugin, MockingBot automatically provides specs and all-platform codes. CSS/Swift/Android codes of every element, all for you. Apart from showing the global colors, MockingBot Handoff can demonstrate colors of the current page. Not enough? Use the Color Picker to choose any color and customize your personal palette. Import Sketch files, and you can download slices of multiple resolutions. You can either download all slices in one click, or any single element slice as you need. 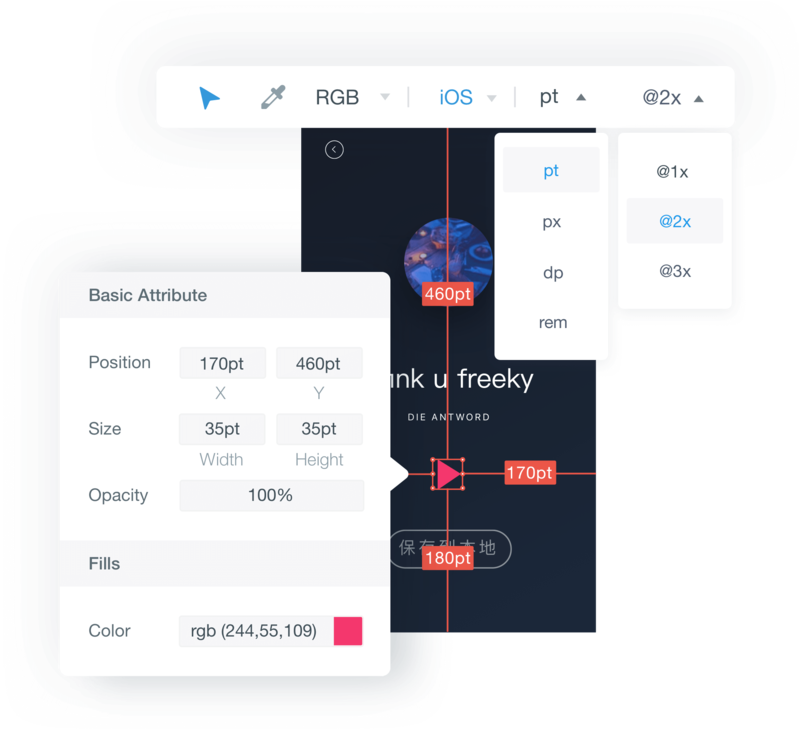 Handoff not only supports the measure conversion of color and resolution between platforms, also allows the manual input of font size of HTML(rem/em). Let designers focus on real design, Save them from all repetitive work.